It’s Hard For Little Girls to Find Spaceships, Trains, and Dinos at the Clothing Store – Don’t Worry, Moms Got This! Two Washington moms started a science-themed clothing line for girls after they realized they couldn’t find clothes featuring dinosaurs, trains, or rocket-ships in the girls department – I guess that is just little boy territory! 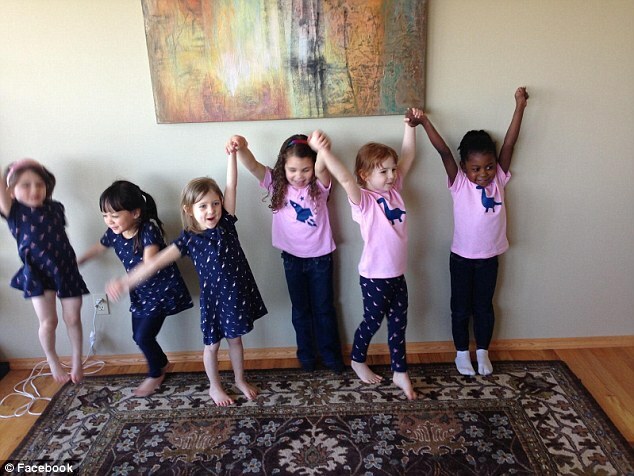 BuddingSTEM, created by Jennifer Muhm and Malorie Catchpole, offers a complete line of girls’ clothes celebrating science, space, dinosaurs, and more; perfect for girls ages 18 months to eight years old. “STEM” stands for science, technology, engineering and math. As a young woman obsessed with science, this story really warms my heart. Growing up, I had a few gender neutral hand-me-downs with basic math symbols on them, but nothing as cool as this! Muhm first realized this was a serious issue when her 5 year old daughter wanted to be an astronaut for Halloween in 2013 and they could only find boys modeling the space-themed costume in the catalogue. She explained to her daughter that she could be anything she wanted to be, but she couldn’t stop thinking about how unfair the situation was. What were little girls supposed to wear that wanted to explore the universe and dig for dinosaurs? By April 2014, Muhm and Catchpole filed their business registration for buddingSTEM. Thanks to a successful Kickstarter campaign, buddingSTEM has raised more than $56,000! The buddingSTEM clothing line will be available on their website starting in July.